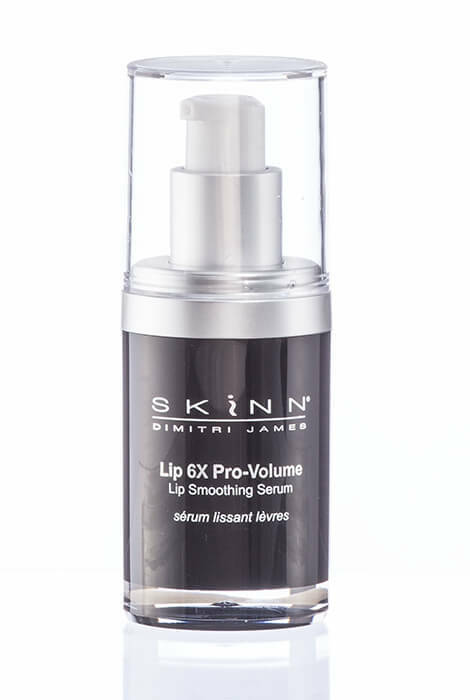 Fuller, plumper lips are now available without the wait, thanks to this fast-working, volume-boosting Skinn Lip 6X Pro-Volume Lip Smoothing Serum. 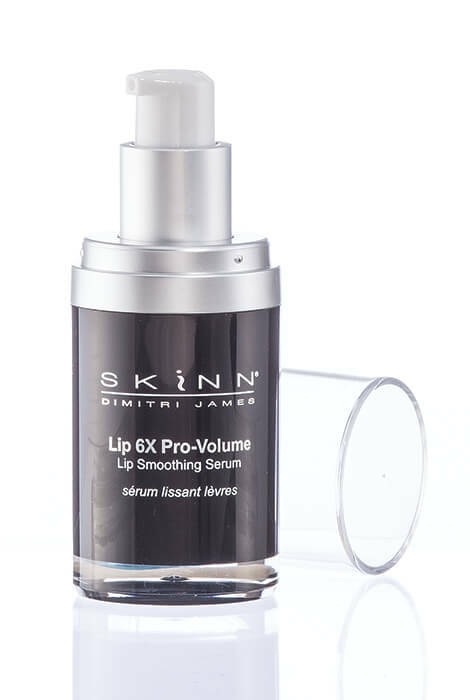 There’s plenty of science behind this lip serum. Powerful vectorized peptides provide deep penetration; pink purslane extract stimulates hyaluronic acid, chondroitin supports tissue and collagen-injected liposomes boost moisture—all resulting in rapid, visible plumping. Lips are visibly augmented and lip rim appears firmer, too. Using easy pump dispenser, apply pea size amount to lips and lip lines twice daily on clean dry lips. May be used more frequently for increased results. 0.5 oz. i have been using this product for 3 years.it's a very good product. strengthens lip ridges and adds volume. this is not an instant plumper.it lasts with continued use. I like it, I use every night. LOVE Skinn products. Great results with this lip serum. I recommend using it with the Skinn lip mask. Both together.....magnificent!! luv it! very moisturizing for my lips. SKINN products work for me. I am noticing my lips thinning and hope this will give me a little fuller lip. I hoped it would work but only gives a short time illusion of plumped lips. I wanted to see if it helps to make lips look fuller! I love this product. I use to order it from Evine when they carried it. They haven't offered it in over a year. So happy to find it. apply through the day, this is a great product. i have tiny lips. this really works. may do a you tube video to show how great it works. Interested in lips that appear larger without fillers. It does what it says! Thicken my lips. I have thin lips. "Hylighten", so I thought I'd try it. With continued use it seems to make the lips smoother. because it works, and I love it! My lips are losing their plumpness as I age. I used to have very full lips but I am 54 now and not so full anymore. what country makes this product? BEST ANSWER: Thank you for your question. It is made in the USA. We hope this information will be of help to you. BEST ANSWER: Thank you for your question. The ingredients are listed below. We hope this information will be of help to you. Can you apply lipstick over the serum? I do everyday more than once a day it works fine. what is the weight of the product? BEST ANSWER: Thank you for your question. The weight is .5 oz for the serum and .15 pounds for the bottle. We hope this information will be of help to you.